It all started in 2011, when the Financial Times made the pivotal — and distinctly countercultural — decision to completely do away with their native applications. Instead, they began working on a new breed of web app, taking advantage of some of the very best technologies available at the time. As modern tech caught up with their vision, app.ft.com would quickly evolve into the point of reference it is known as today. In addition to sporting a native-like splash screen and interface, the app can even sync an offline section of its newspaper, so users are able to carry on reading even when reception is no longer available. 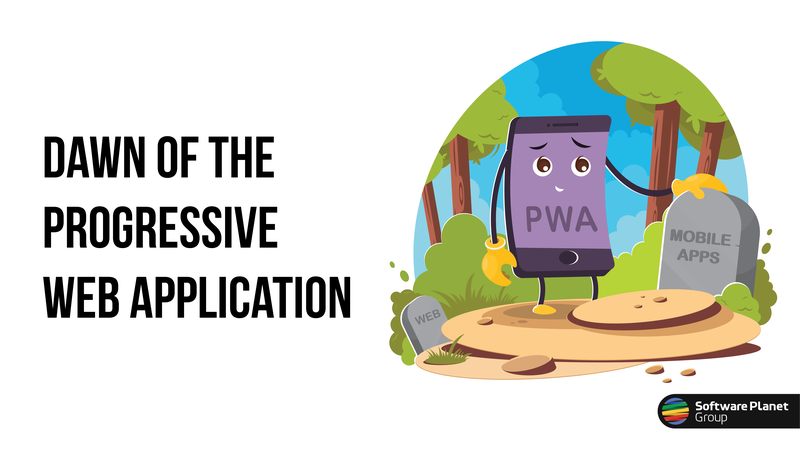 Spurred on by this success, so-called progressive web applications (PWAs) have increasingly been seen as a powerful threat to the native status quo. This is largely due to convenience, as instead of relying on an app store for searches and downloads, PWAs may either be viewed on a standard web browser or run from within self-contained shells, via a shortcut on the home screen. As a result, progressive web apps are faster to build and update, and cost significantly less to develop than a native application. Above all, however, they allow us to harness the power of the web to gain access to traditionally blocked features, such as the user’s camera and push notifications. In fact, barred making use of proximity sensors and handling contactless NFC payments, among few other features, there is very little a PWA cannot do. And thanks to the backing of three major tech giants — Apple, Microsoft and Google — web applications are likely to improve even further. From Starbucks to Twitter, leading companies today have demonstrated that anyone can benefit from PWAs, and looking at the figures, this should hardly comes as a surprise. Progressive web apps have been shown, for instance, to greatly increase both conversions and engagement. Pinterest’s PWA, for one, saw users spend approximately 40 percent more time on their website compared to the native application, while ad revenue shot up by 44 percent. Similarly, after Forbes adopted progressive web apps, they were able to increase users by 43 percent, and their session durations effectively doubled. While no disruption is ever a pleasant affair, here at Software Planet, we believe the opportunities PWAs present are far greater than the challenges. In 2018, for example, upwards of 52 percent of all website traffic was generated through mobile devices. By contrast, less than a decade ago, this figure was at a paltry 3 percent! For this reason, far-sighted companies will infer that the best progressive web apps may not only one day replace your company’s applications, but also your web page itself. As Darwin so casually reminded us, rather than fretting over change, the success of any business hangs on meeting these technologies head on.